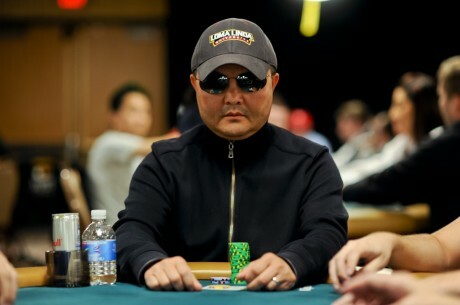 Jerry Yang is one such instance whose name became worldwide known when he won the main event title of 2007 WSOP. The way he earned his title is also interesting. He won a position in the final table via a satellite event worth $235which was held at Pechanga Resort and Casino in California. He made into the eighth position in the final table. Usually someone in the eighth position in the final table is not taken seriously and considered to be eliminated soon. However, Yang came back with a storm and took on a dominant lead with the chips he held. It helped him win $8.25 million, which was the second largest prize that he won as a winner of a Poker Main Event. The win helped him to get into the big game of world poker tournaments. He subsequently won cash prizes at six WSOP events after that in a time span of nine years. His last big finish was at the Colossus in the year 2015. If you look at the earnings Yang has earned, it has probably not been much, less than $200k since the big win in 2007. It is not so much that his skills and luck did not favor him after his win in 2007 but he did run into some tax problems and was not able to manage his money well. Yang however, has a restaurant and that is reportedly running well. He was also in the news when he responded to the views expressed by Joe Hachem about how poker ambassadorship was destroying the game. He states that being an ambassador for the game was an extension of the passion he held for the game that is intrinsic in every pro player of the game.